In 2014, the ITEA project SoRTS started with Elekta in Sweden and Philips in the Netherlands as main partners. The goal of the project was to develop a System of Real-Time Systems to support healthcare professionals in the transition from invasive, open surgery to minimally invasive, image-guided intervention and treatment, to boost the effectiveness of cancer treatment and to reduce patient risk. One of the key outcomes of the SoRTS project for Elekta was the MR-linac system (Magnetic Resonance Imaging - Linear Accelerator) which is designed to improve the targeting of tumour tissue while reducing exposure of healthy tissue to radiation. The system allows physicians to precisely target a tumour, even when tumour tissue changes shape, location, size or composition during treatment, due to e.g. breathing of a patient. 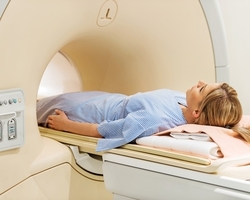 The Elekta Unity is the only MR/RT system that integrates a premium quality (1.5 Tesla) MR scanner, from MR technology partner Philips, with an advanced linear accelerator and intelligently designed software. On 19 May 2017, less than six months after the end of the SoRTS project, the University Medical Centre (UMC) Utrecht treated the first patient as part of a clinical study with Elekta Unity. Analysis of the first clinically derived data shows that visibility of the treatment target and radiation beam accuracy is excellent. In total, five planned patients in a clinical study will receive therapy for spine metastases.